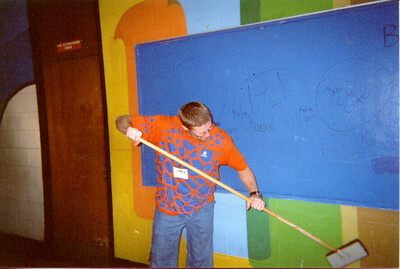 LSM-USA gathering participant removing graffiti Dec. 29, 2000, at John F. Kennedy High School, New Orleans. 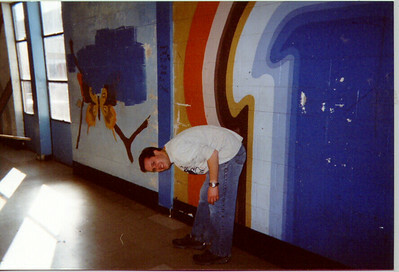 LSM-USA gathering participant removing graffiti at John F. Kennedy High School, New Orleans. 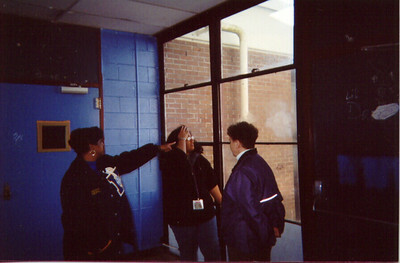 Theresa Adams, principal, John F. Kennedy H.S., surveys work in progress at the school with Zorayma Torres Alvarez, Puerto Rico, and the Rev. Patricia J. Lull, ELCA director for campus ministry. 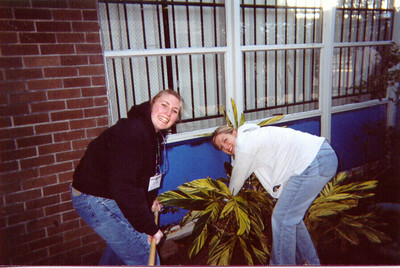 Gathering participants paint exterior window surfaces at JFK High School. 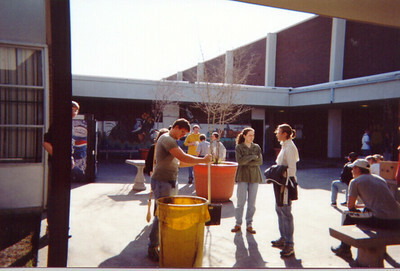 Gathering participants clean the JFK High School courtyard. 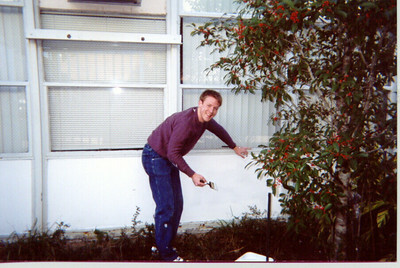 Gathering participant, Chris Haman, North Dakota State University, paints JFK High School exterior window surface. 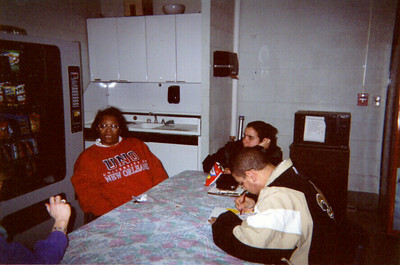 Ernestine Montgomery, director of placement, University of New Orleans, discusses the day's activities with gathering participants.